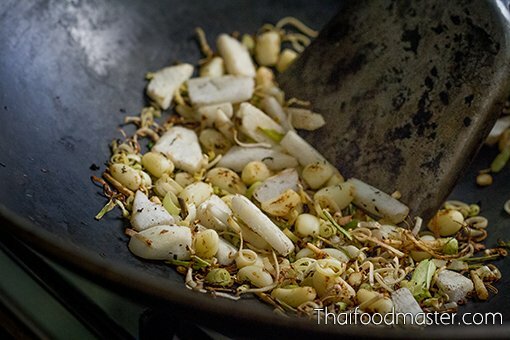 An unusually high quantity of julienned young galangal adorns the dish like the spikes of a hedgehog, piercing the smoky, earthy fragrance of the peppercorns with higher citrus notes; fresh green peppercorns reinforce its peppery core with a discreet herbal freshness. Javanese long pepper (Piper retrofractum) and Indian long pepper (Piper longum) both produce a small, elongated fruit that resembles a closed pine cone. 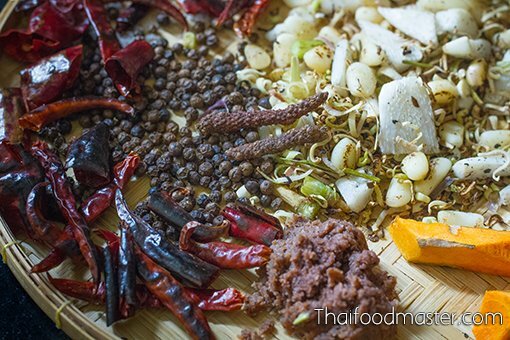 Long pepper has a rich history in early Indian and Indonesian-style cooking that dates back thousands of years; it is often intermingled and confused with black pepper. The Romans were familiar with both, and used the peppers interchangeably. 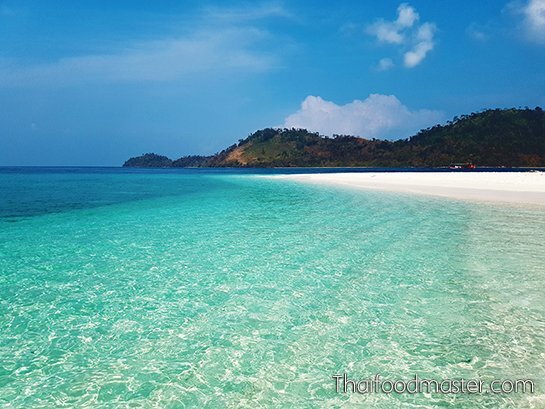 The south of Thailand is close to Indonesia’s peppercorn production centers, overlooking the very same oceans crossed by Portuguese explorer Vasco da Gama in his pursuit of spice trade riches. In the late 15th century, black peppercorns made up more than 90% of the entire spice trade: The discovery of the Americas, the introduction of chili peppers and the advent of commercial transportation all contributed to a decline in the use of long pepper. 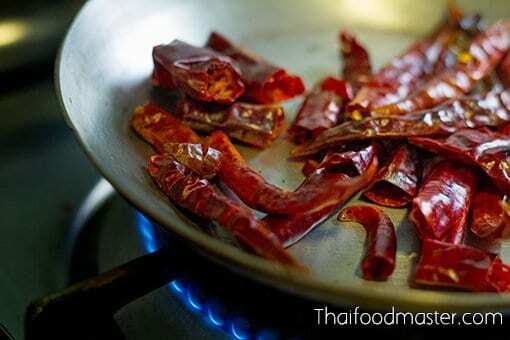 However, Javanese long pepper (Piper retrofractum) is still widely used in southern and northern Thai cuisines. 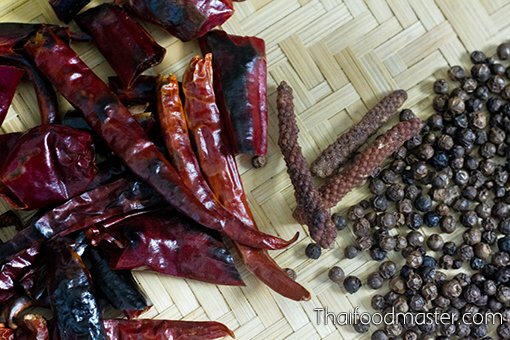 Its flavor resembles that of ordinary black pepper but it has a hotter taste with sweet, somewhat earthy undertones; the Indian variety is slightly bitter compared to the Thai long pepper. 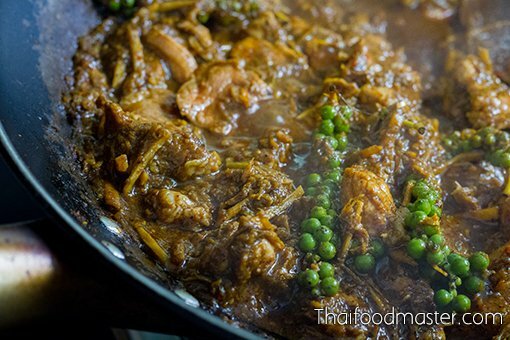 This style of curry is ideal for wild boar meat and any other game meat, as well as beef, pork and chicken. Use palm sugar only in very small quantities, with the desired amount should only paint a vaguely felt sweet base. 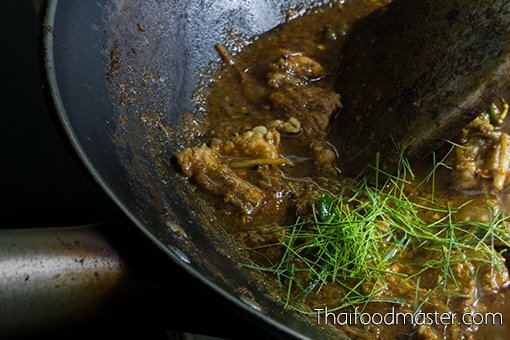 Do not use any green herbs to touch up the curry. The desired flavor lift is produced by using green peppercorns, which play off the black and long peppers, and julienned kaffir lime leaves add sparks of citrusy freshness. 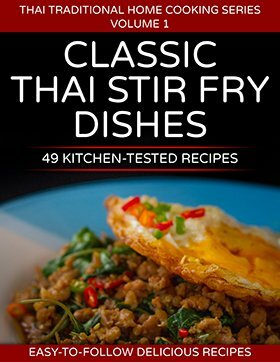 Serve alongside hot white rice and a crispy Thai omelette. 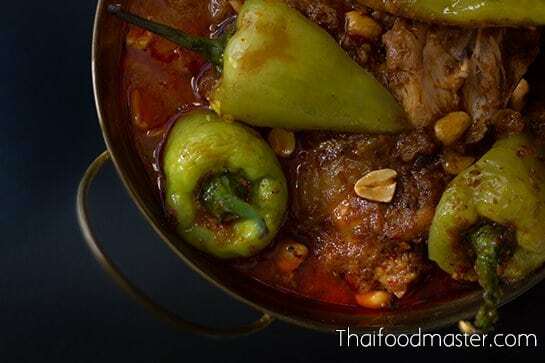 This profoundly spicy, chestnut-colored pork curry radiates a pungent slow-burning heat from generous amounts of roasted black pepper, along with long peppers and naughty charred dry chili peppers. 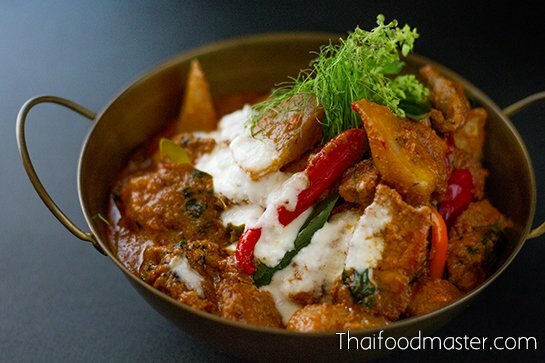 The curry’s aroma is concentrated even further by roasting the ingredients prior to pounding them - a process that shaves the high notes of the curry and provides a low-pitched intensity that lasts far beyond each bite. 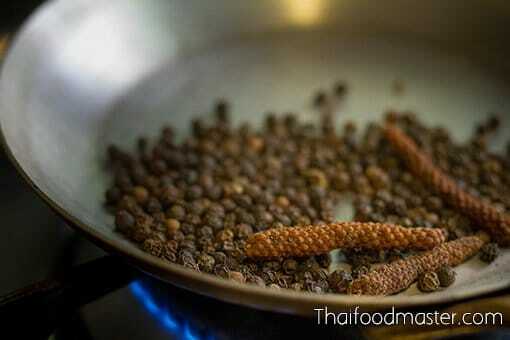 Over low heat, roast black peppercorns and long pepper until fragrant. Roast the de-seeded long dry chilies until charred. 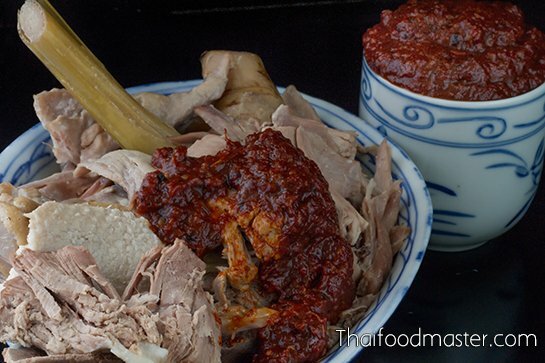 Set aside the roasted ingredients. 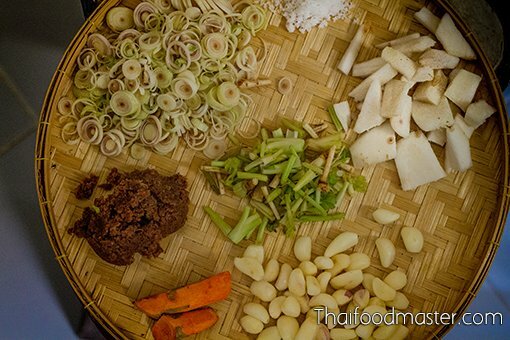 A visual overview of the curry paste ingredients. 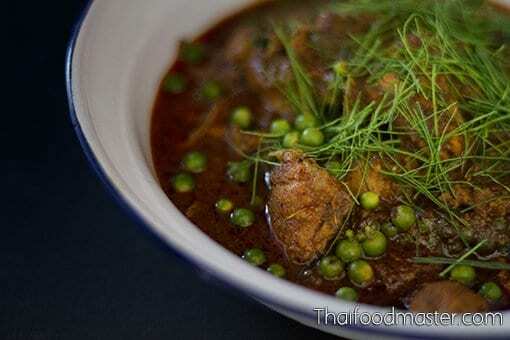 Over low heat, roast all the curry ingredients except the kapi. 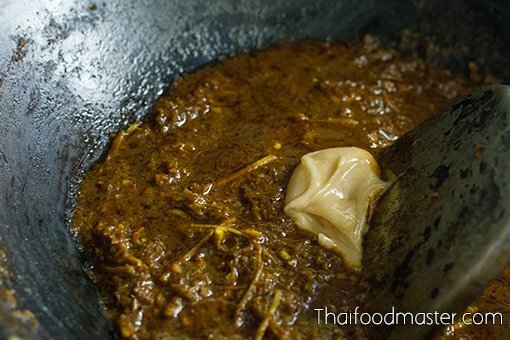 A visual overview of the curry paste ingredients after roasting; pound all the ingredients, except the kapi, into a smooth paste. 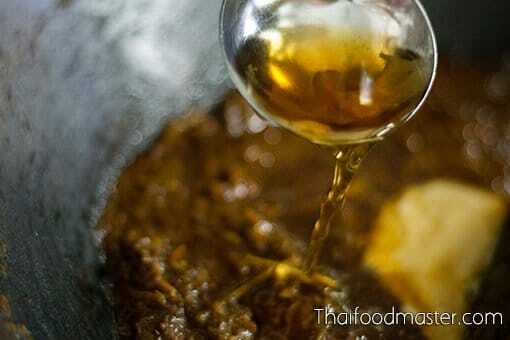 Add a bit of oil to a wok. 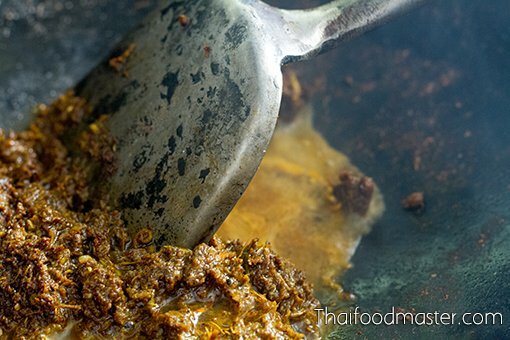 Over medium heat, fry the curry paste until it is fragrant, and then add the kapi. 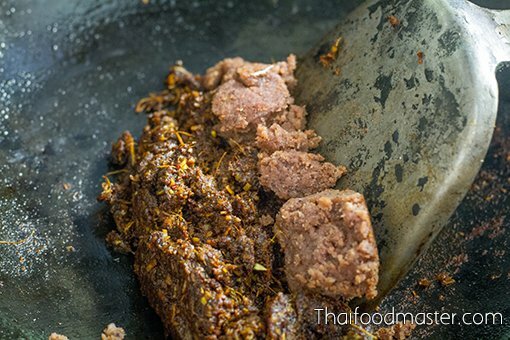 Fry and mix kapi the with the curry paste. 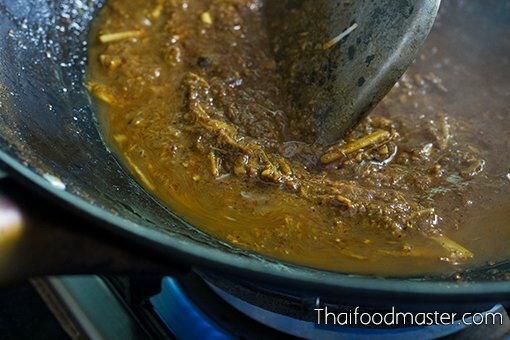 Add water gradually, mixing and cooking the curry until it has a thick consistency. 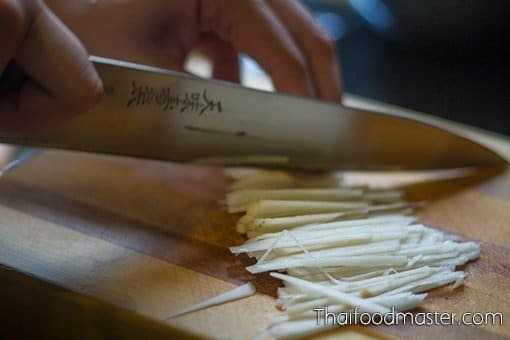 Add the julienned young galangal to the curry. 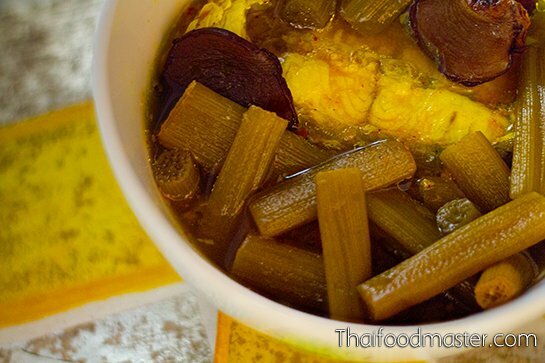 Cook until the young galangal releases its aroma. 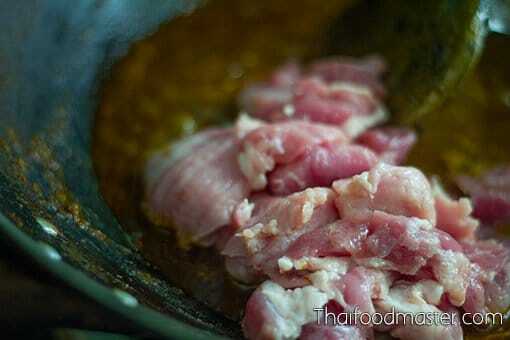 Cook until the pork is fully cooked, then add green peppercorns. 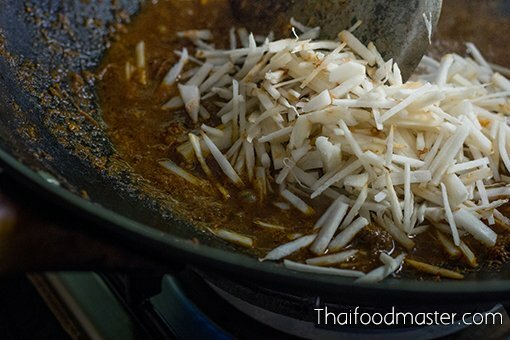 Mix and add hair-thin julienned kaffir lime leaves. Another insanely perfect dish! I always love recieving your emails that another recipe and fantastic story is waiting for me. Thank you. I had no idea there was a seperate Javanese long pepper. 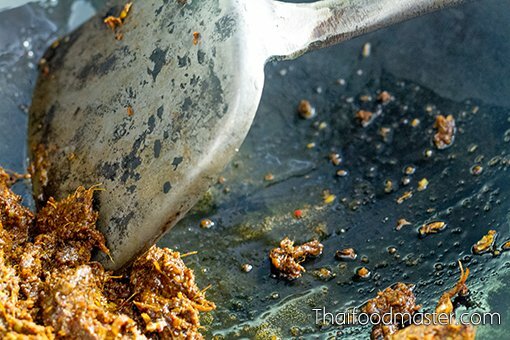 I use is a lot in northern laap obviously and I’ve seen it in ancient Ayurvedic preparations, where it hasn’t been replaced with chilli.